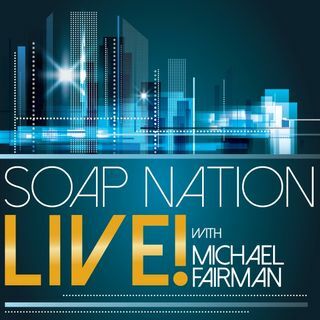 On Thursday night, December 20th beginning at 7PMPST/10PMET its all-new episode of Soap Nation Live! with Michael Fairman with this 90 minute broadcast. Join Michael and his special co-host DAYS' Greg Rikaart and guests, GH's James Patrick Stuart, Ex-GH and now PPL: The Perfectionists, Hayley Erin, and One Life to Live icon, Robin Strasser est for a fun night of chat in our holiday broadcast. To call-in dial 818-295-2130, if you have question or comment for any of our guests. ... See More The show will be archived and made available for listening immediately following the broadcast.